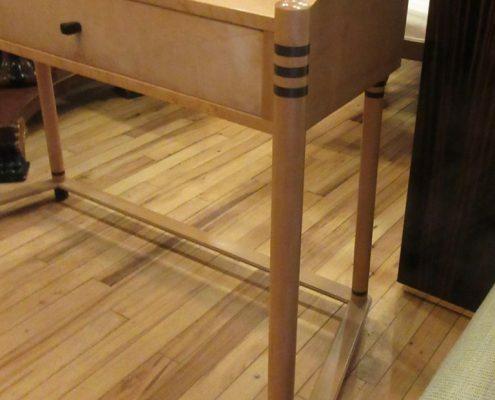 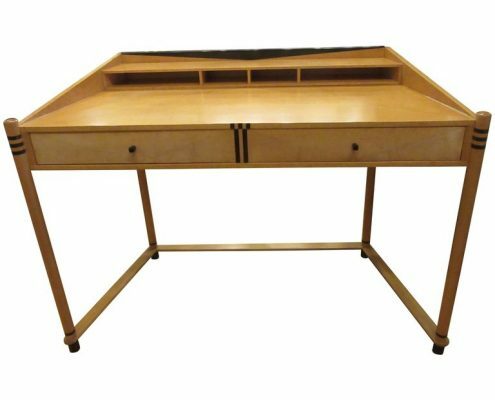 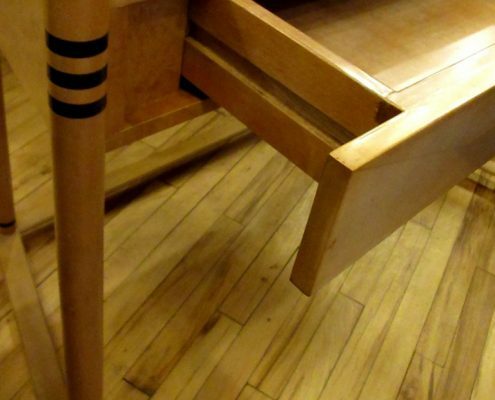 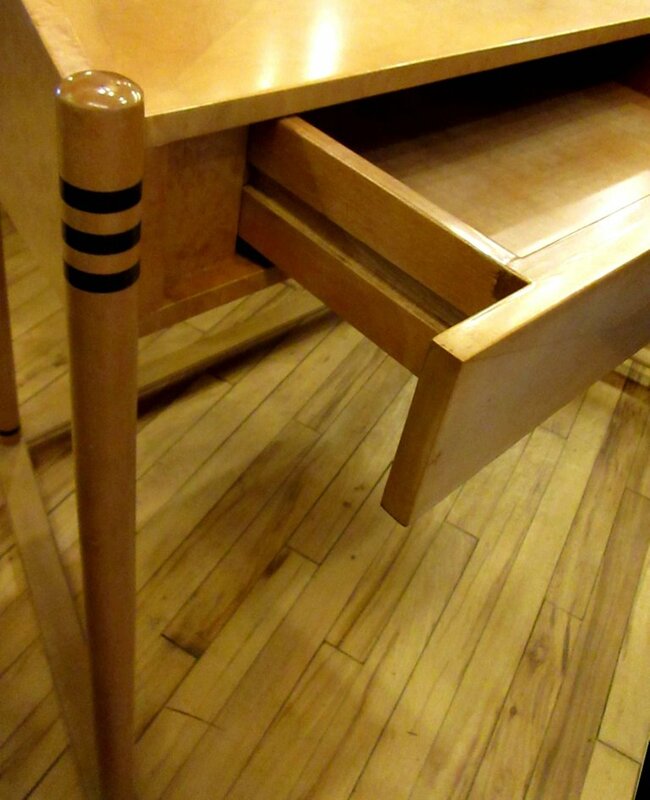 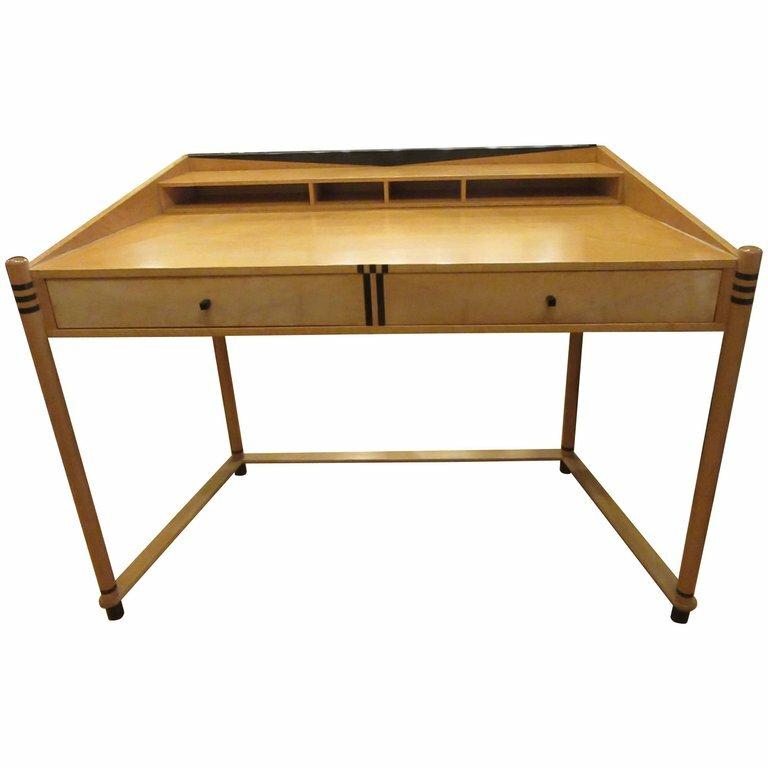 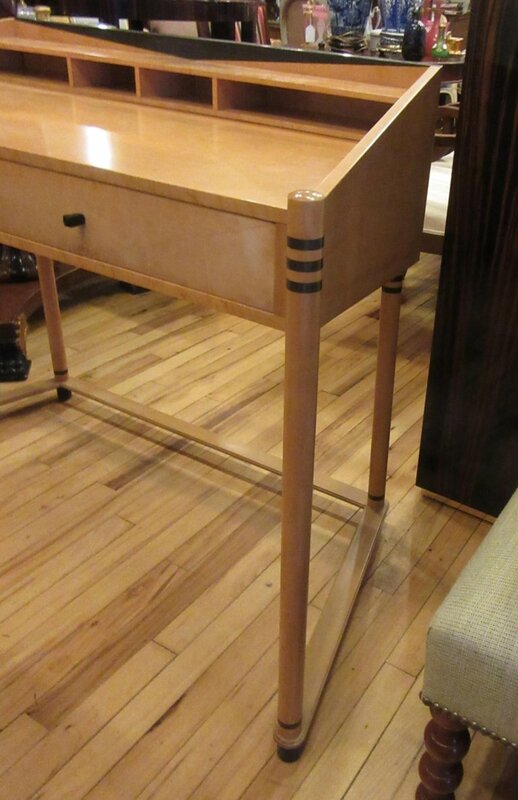 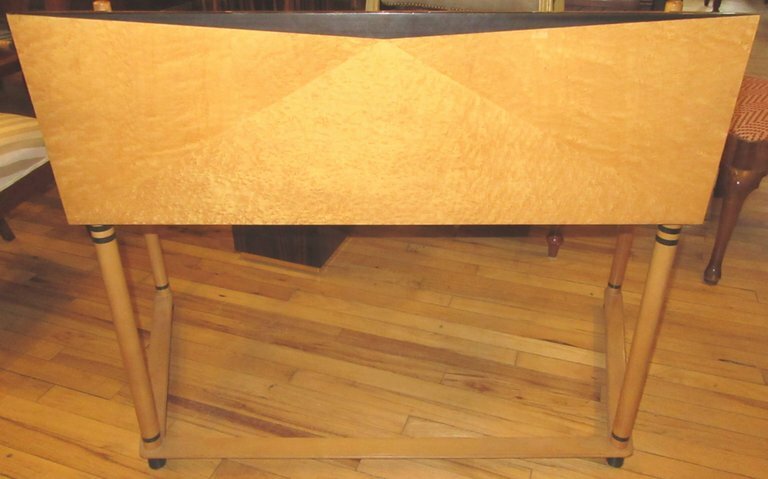 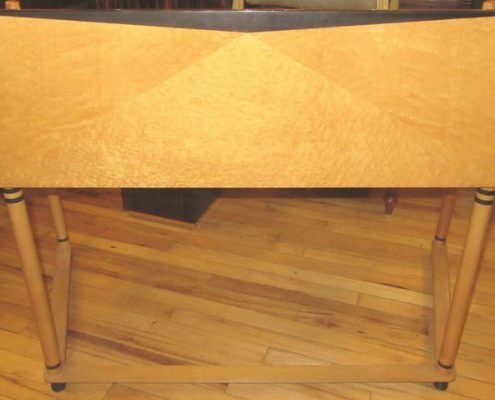 An Art Deco style slim line desk of Maple with ebony accents. 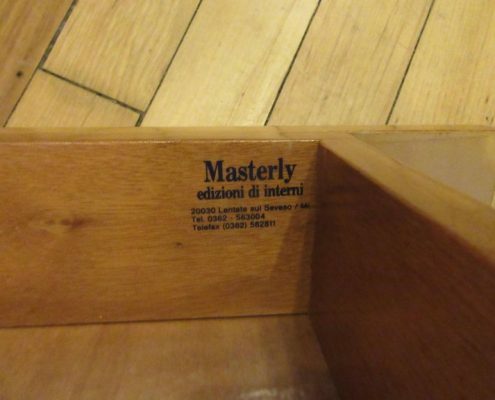 Manufactured by Masterly, Italy for Roche Bobois. 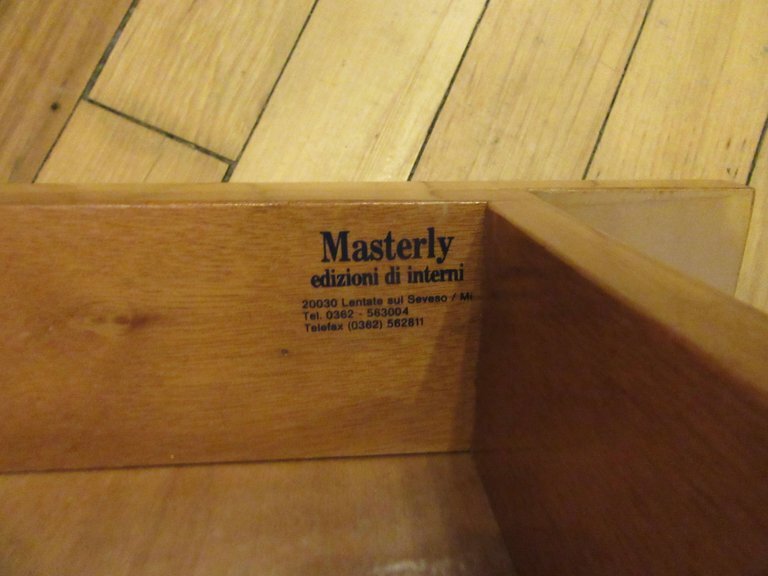 H 21 in. 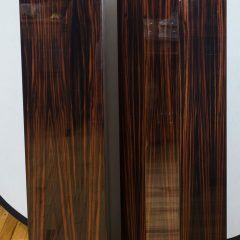 x W 48 in. 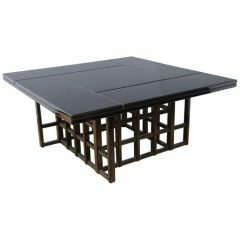 x D 34 in.